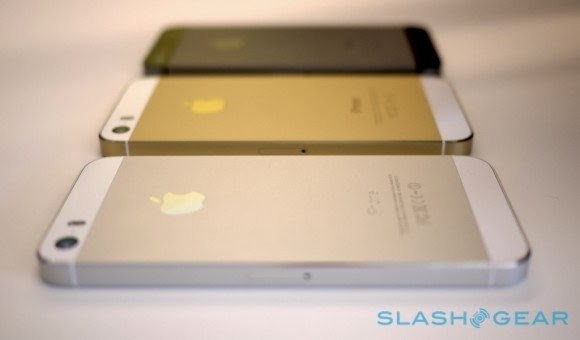 Apple’s decision to build a gold-colored iPhone 5s is about more than just offering another color to consumers. For one thing, the margins are quite high on the device, and the more colors it offers, the more money it can make. But there’s more to the gold iPhone than meets the eye at first blush: it’ll be the bestselling iPhone yet. As history has proven, Apple’s customers really, really like when the company delivers new colors to its handsets. When Apple started selling the white iPhone, for example, it became an immediate hit. Now Apple is breaking into the mobile space with a golden iPhone. And I’m here to tell you, beyond a shadow of doubt, that the golden iPhone will quickly establish itself as the bestselling iPhone ever. So, why might that be? It has everything to do with the color, of course. The device has, as mentioned, the luxury of being the new color on the market, which lends immediate appeal to consumers. And since Apple is pushing the gold color even more than the others, you can bet that all that marketing help will spur more sales. But perhaps the biggest reason the gold iPhone will be successful has nothing to do with Apple and everything to do with the average consumer’s desire to have a product in their pocket that reflects well upon them. "What customers want is a device that says something about them"
One of the most important moves Apple has made over the last decade was to bring the technology industry out of the geeky niche it was living in and into the mainstream. Starting with the iPod and then extending to Macs, iPhones, and now iPads, Apple has realized that what customers really want is a great-looking device that says something about them. To own a Mac means a person is stylish and a success. And they want the world to know it. A gold iPhone is another one of those devices that says something about the person who owns it. I can see the gold iPhone finding its way into the hands of the fashion-minded who want a device that reflects their personality or personal style. It sounds rather cliché to say that an iPhone can be a functional fashion accessory, but believe it or not, it’s exactly that. And more people than ever care about how an iPhone melds into their personal style. Of course, there’s also a bit of an ego involved here. Some folks just like to show others that they have the latest and greatest iPhone, and the best way to differentiate their purchase from those old, outdated iPhone 5 units is to get the gold color. Don’t think some people think like that? Think again. In an odd way, smartphone purchases can teach us lessons about each other. There was a time when having technology products was simply for those who wanted to do something and get work done. Nowadays, technology products are an extension of who we are and what we want to convey to the world. And it’s that reality – the very fact that people want to make a statement with their smartphones – that will make the gold iPhone a winner. Recently, It is an elegant and effective website about financial markets. It is very useful for us. So, I loved it. Many, many thanks to you for creating such an informative website. If you would like more information about this please visit stock market update The advantage of these stock market update is they allow for a vast amount of customization by the user. That same advantage can create a disadvantage for some users. Those users may not really know what they are looking for or what data criteria might produce a stock market updates of stocks that present the highest possible probability of a successful stock trade.